Happy Mother’s Day! – Dear Mom, You lift us up, even when you would have been able to fly and we’re held you back on the ground. Thanks! – Family: Like water droplets, even when we are far from each other, we are always connected. To *all* mothers: Happy Mother’s Day! 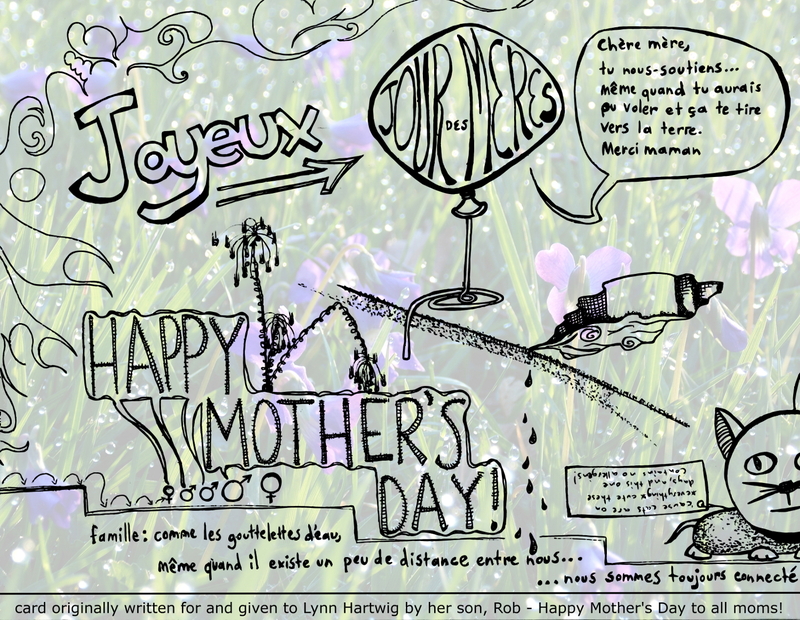 This entry was posted in Art and tagged 2013, card, handmade, Happy Mother's Day, Mother's Day. Bookmark the permalink.